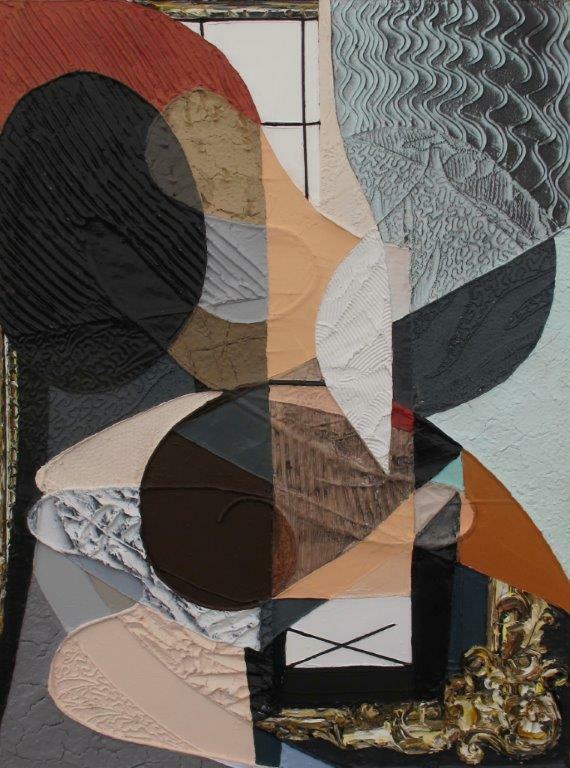 Francesco DiMatteio uses representational elements to build abstract paintings. In Flatware, the gesturally painted fragments of a frame not only reference painting’s history, but also act as key points in drawing together the diversity of shapes and debris. She gives the paint fluid movement between abstract shapes and representational moments, as the painting dialogues with itself elegantly and subtly evoking Picasso’s masterful Cubist paintings. DiMattio lives and works in New York. Her work is included in the Zabludowicz Collection, London; Miami Art Museum; Saatchi Gallery, London; and the Frances Young Teaching Museum and Art Gallery at Skidmore College, Saratoga Springs. She has exhibited her work internationally and has a forthcoming solo exhibition at the Blaffer Art Museum, Houston in 2014.